She realised she couldn't take care of her child unless she also took care of herself. During the past year, Melissa LeBlanc consistently avoided door handles, wore face masks outdoors, and always showered thoroughly after a quick Target run-all in the name of her daughter’s health. 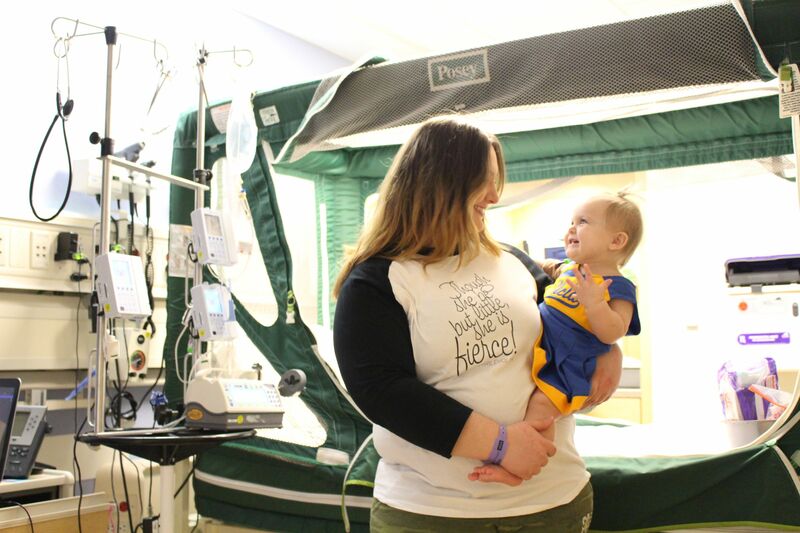 Riley, who is now 2.5 years old, was born with severe combined immunodeficiency (SCID). Simply put, she was born with a barely there immune system, meaning she could become fatally ill at the slightest exposure to germs. In the midst of caring for Riley’s wellbeing, LeBlanc slowly started to neglect her own. A former gymnast, competitive cheerleader, and personal trainer, she was no stranger to an active lifestyle. But once Riley was diagnosed with SCID, exercise became less of a priority-and the kilos creeped on. The turning point: "You need to take care of yourself"
Riley underwent a stem cell transplant a year after she was born-bringing her one step closer to a functioning immune system. Shortly after the surgery, LeBlanc took an unexpected trip to the hospital herself for severe abdominal pain-the kind that makes you hunch over because it hurts that bad-and realised just how far her health had slipped. The doctor diagnosed her with gallstones and a damaged liver, and told her that she was at risk for type 2 diabetes. That’s when it really hit her: LeBlanc realised that she couldn’t take care of Riley if she couldn’t take care of herself. As she started loading her plate with nutritious veggies and hitting the gym again, LeBlanc realised it was never the stricter diet or exercise that she found difficult-it was the remorse she felt while being away from her child. 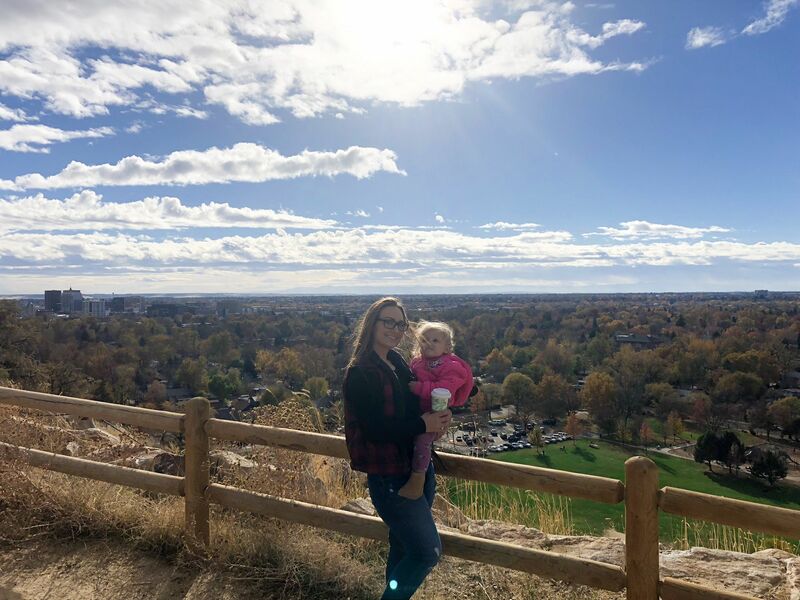 “The guilt factor of leaving Riley and going to a germ-filled gym or ignoring her to work out at home has been the hardest transition mentally for me,” she says. But she also knew that not going would be an even bigger threat for her daughter’s future, so LeBlanc shook the guilt and started hitting the gym regularly, taking all the proper precautions for Riley’s health: bringing her own wipes, showering right away, and washing her hands multiple times throughout her workouts. Leblanc’s number one piece of advice is the probably the hardest. “Take it one day at a time,” she says. Too often, people rush into losing weight, putting too much pressure on themselves and expecting immediate results. But Leblanc cautions against that. “Weight loss isn’t a race, it’s a journey to creating long-lasting, healthy habits,” she says. “I started with cutting out soft drink and other sugary drinks and fast food,” LeBlanc says. She also did her best to stick to a balanced diet full of whole, natural foods. Going the extra step to count kilojoules is also a great way to make sure you are on track to reach your goals, she adds. LeBlanc has learned to love working out again-her voice reaching an excitable pitch when talking about her favourite sprint intervals and love of plyometric exercises. And a year and a half since the gallstones, she’s lost about 40kg.